What makes an effective executive? 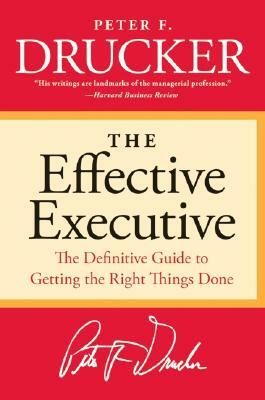 The measure of the executive, Peter F. Drucker reminds us, is the ability to "get the right things done." This usually involves doing what other people have overlooked as well as avoiding what is unproductive. Intelligence, imagination, and knowledge may all be wasted in an executive job without the acquired habits of mind that mold them into results. Ranging widely through the annals of business and government, Peter F. Drucker demonstrates the distinctive skill of the executive and offers fresh insights into old and seemingly obvious business situations. Peter F. Drucker is considered the most influential management thinker ever. The author of more than twenty-five books, his ideas have had an enormous impact on shaping the modern corporation. Drucker passed away in 2005.